This is a family operated enterprise which ensures personal attention to the guests and as the manager speaks many languages ( especially English, Spanish and Italian) you will have no problem finding out any information you need. It is a nice, safe, clean and friendly place to stay and relax. It is renovated all the time in order to be more comfortable for you. 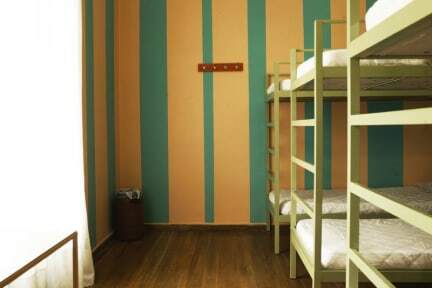 The Hostel offers the comforts of a home near the heart of the city of Athens. 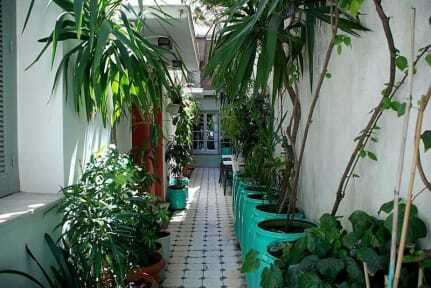 -the old quarters of Plaka and many others places. As camas são horríveis, o colchão de uma amiga estava marrom, apenas onde estava o travesseiro estava "branco". Além disso, não conecta a internet, apenas na recepção, mas não abre qualquer site, apenas permite transmissão de texto de whatsapp, mas sem qualquer tipo de mídia. Além disso, a piscina estava com a água turva, e era necessário consumir no bar para poder usar as cadeiras ao redor.